This past week, I’ve been sharing this mind-blowing story recently around the neighborhood, and in response at least one of my friends laughed very, very hard at me. I personally think that if Rabbi Shmuel Eliyahu let this mindblowing story into the book of stories he edited about his father, it must be true. What do YOU think, JewishMOM? Could this extraordinary story really be true? The following story was told by Harel Hatsroni: “One Friday, when I was waiting to ask Rabbi Eliyahu some questions, I overheard the following story. A man told the Rabbi, “I’ve come here today with my relative who this week experienced clinical death and saw Rabbi Eliyahu on the Beit Din shel Maalah, the Heavenly Court.” The Rabbi was unmoved by the man’s words. “She wants to ask the Rabbi several things,” the man said. Rabbi Eliyahu stepped outside his office, where the woman in her late 30s was waiting for him. She did not appear to be observant of Torah and Mitzvot. The relative who had accompanied the woman explained to the Rabbi, “A few days ago my relative was hospitalized. She didn’t feel well, and suddenly her condition became worse and from one moment to the next, she died. After the doctors confirmed her death and we signed all the forms, we saw that she started waking up. She looked at Rabbi Eliyahu and said, “And suddenly you came, and you turned to me and said to me, ‘If you will start dressing modestly, wearing a head covering and everything else a woman needs to do, then you can return to the world. Do you agree?” And I answered the Rabbi that yes, I accept upon myself all these things in order that I should be able to return to the world. And after that, they declared in Heaven that because Rabbi Eliyahu had declared that I can come back down, then that was what happened.” Rabbi Eliyahu didn’t deny her words. “Now I have come to you, because I want you to tell me what I need to do,” the woman said to Rabbi Eliyahu. “I already told you there,” the Rabbi replied and briefly explained, “Do what I told you.” The woman nodded as though she was once again accepting these things upon herself. It’s possible that she came just in order to verify things, to make sure that she hadn’t been imagining. But it wasn’t her imagination. With my own eyes and ears I saw and heard the Rabbi’s response, and I was left in awe. Why would anyone laugh at that?…maybe out of anxiety or lack of both emuna and knowledge on clinical death experiences..there are many and they all have almost the same experience (being judged before a heavenly court, etc)..some even report seeing others judged alongside..i recently heard from a friend that the wife/rebetzin of toldos aharon also experienced clinical death and she saw women being punished for wearing wigs…i dont want to start any scandolous rumors, just what I heared, I haven’t looked into it, but it scared the …out of me… We need mashiach fast, so I think these stories aim at getting us to do teshuva and be better Jews. I totally believe this story since I also had an experience with the Rav. After he was niftar, my husband when to daven at his kever that our IVF would be successful. This was after 6 years of secondary infertility and never getting pregnant on my own. That tipul did not work and I stopped all meds and treatment. I couldn’t do it any more. Four months later, I had a dream. In the dream the Rav came to me, dress in white with a shining complexion and a huge smile. He called me over into a room and told me something. When I woke up, I couldn’t remember what he told me but I knew it was something amazing, good and I just had a sense that something great was about to happen. I told my husband about the dream. I never dream about Rabbis, this was something special and I knew it. A day or two later, I decided to test to see if I was pregnant by getting a test from the store. To someone who hasnt struggled with infertility I am not sure you understand how much courage that takes after seeing so many negatives but I had a feeling that what the Rav told me was that I was pregnant, I didnt even wait till I got home and tested at work. I am sure you have guessed but I was pregnant after 6 years of trying with no tipulim at all!! When we looked back at the dates we realized that my husband had gone to to the kever 4 months ago on the same day I had the dream. 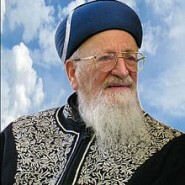 Rav Mordechai Eliyahu was amazing and is still helping Am Israel from above. Now you see why I believe that story. I believe it. Good on her for trying to come back down to raise her kids. Of her hair covering but a sheitel no one is pulling off in public. Strongly encouraged women to wear- it was actually a “bakasha nafshis”. There are wigs and there are wigs. There are head coverings and there are head coverings. Not all qualify as totally tznius. A woman should be following the accepted practice of her area and making sure that her hair is covered in a modest way. I follow the Lubavitcher Rebbe’s request but am convinced that many of the wigs worn today would not find favor in his eyes. If a families minhag is to wear a tichel (many sefardim)and those women follow it strictly than I am sure the Rebbe would not object. In regards to near death experience – they are amazing, scary, but believable, and if it inspires someone to greater heights than it should be publicized. I absolutely believe it. We have no idea how much our tzaddikim do for us. Rav Mordechai Eliyahu ztl was an incredible tzaddik, and it doesn’t surprise me at all that he was on the Beis Din shel Maala even before his death. I know other verifiable stories about other tzaddikim in our generation who are also on the Beis Din in Shamayim, they should live and be well until 120. One person with such a story I know personally. The line between the Olam shel Emes and our world of lies is not nearly as thick as our animal natures would have us believe. I don’t think the story proves anything about her experience. You can read the story like this: A Jewish woman has a near death experience. As a non-observant Jew (or probably shomer shabbat/religious Jew who just doesn’t dress modestly or cover her hair) but who is aware that halacha demands more of her, she may well be feeling a little guilty about her non-observance in this area. It’s not that surpising that her near death experience will include a well-known rabbi, Rav Eliyahu telling her to be more observant. So when she comes to see Rav Eliyahu, tells him the story and asks him what to do, what’s he going to say? No, it was just a dream, don’t take on tzniut?? Of course, he’s going to say, “do what I told you”. I’m not interpreting the story like this to G-d forbid dampen anyone’s religious enthusiasim…I just don’t personally base my faith/inspiration/committment on these kinds of super-natural stories that can very easily be interpreted in other ways. I’m happy that the woman had an experience that inspired her to be more observant….and it really doens’t matter whether R. Eliyahu was on the Beit Din Shel Ma’alah or not. I just do not get the fixation on the hair covering and the Tzinut..at least the way it is practiced. Yes, be modest in all your ways..this is done in how one carries themselves. BUT…it does not ask or demand to act or look like a door mat. One who is Anav\humble does not look down upon themselves. They carry themselves with dignity and an internal beauty. I am afraid we have taken this Tzinut to the extreme to counter the extreme lack of it in the world. One extreme does not make the other correct. It is upon the middle golden path that Rambam urges us to travel. Hair covering/ tznius is a woman’s primary mitzvah. There should be more focus on it. Many of today’s wigs aren’t modest at all and are definitely causing men to stumble- actresses in Hollywood are wearing these same wigs to look glamorous! This is not modesty!